Two of three humans never get cancer. Even the majority of heavy smokers remain cancer free. Is this a matter of chance, or are there cancer-resistant genotypes? 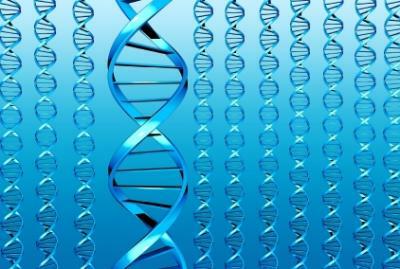 Genetics play an important role in cancer. Not seldom the same types of cancer runs in families. Genetics tries to identify which features are inherited, and work out the details of how these features are passed from generation to generation. Genetic information is carried by a long molecule called DNA which is copied and inherited across generations.Traits are carried in DNA as instructions for constructing and operating an organism. These instructions are contained in segments of DNA called genes. Different forms of one type of gene are called different alleles of that gene. Mutations are random events that change the sequence of a gene and therefore create a new allele. Cancer can be favored by mutations or the allelic polymorphism of many genes involved in the control of cell differentiation or division. These mutations and alleles can be part of the cause by which cells start dividing without control, even against the host of these cells, the human body. The question is whether cancer resistance is just the low occurrence of these mutations or cancer favoring alleles. Efficient immune rejection of tumors requires T-cell clones with specific receptors that can target non-self proteins. This immunological rejection is one of the mechanisms against cancer cells and viruses. DNA repair is a robust protection mechanism against cancer, it is also clear that there are individual variations in the efficiency of its many components. Both DNA damage and illegitimate activation of oncogenes can trigger apoptosis through a variety of pathways. This way “killing” activation of cancer genes and thus prevent cancer growth. A large series of somatic hybrids generated by the fusion of normal with tumor cells for tumorigenicity in vivo showed that tumor growth was suppressed with these hybrids. But looks promising to me, what do you think? Not being scientist, I nevertheless read your work with a keen interest. In 1995 I identified a certain ethnic sub-population, and speculated that it is highly resistant to damage from ionizing radiation and cancer. The data I have collected, along with an informal survey, ten to confirm this, but valid scientific investigation is needed. My research into the history of this group may also prove how to fortify humans in this regard. Please note that I could be completely wrong, but feel compelled to write you about this possible discovery. The head of NASA once said (on 60 minutes) that they are still working on what the last bicycle repairman showed them. Please email if you would like to discuss this further.